Learn about the vocabulary words individual, opponent, merit, fortunately, and unfortunately with The Electric Company when a competition almost goes too far. 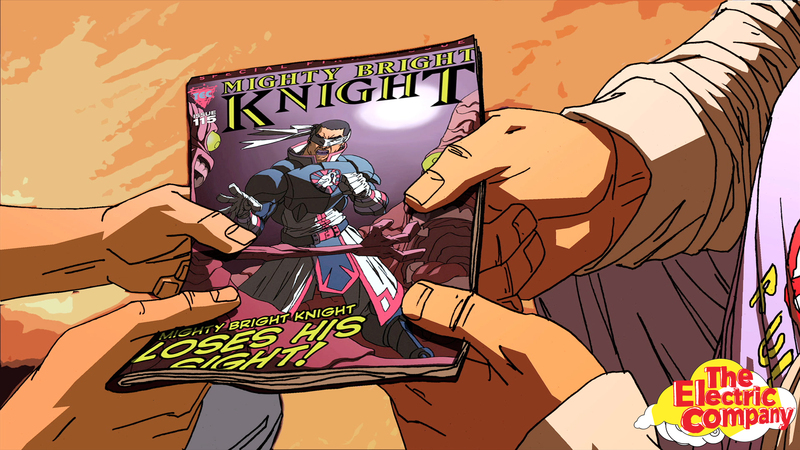 Jessica and Manny compete to win the last copy of their favorite comic book, Mighty Bright Knight. But when it looks like Manny will win by cheating, will Jessica be tempted to cheat too?